What’s worth measuring? There are lots of different marketing metrics, but it’s important to remember that not all metrics are created equal. Generally, people think the most important marketing metrics include things like impressions, engagement or click through rate. These general and traditional metrics don’t actually provide actionable insights. The myths associated with these buzzwords continues to travel. The reality is the most important marketing metrics distinguish what content resonates with your audience, the health of your funnel, and return on investment (ROI). We’ll shatter the myths around metrics and define those that actually matter to your CMO. Master these and you’ll impress your CMO in no time. When the conversation of metrics arises, it’s important to first confront the metrics that are often considered the most important. Yet, they mean nothing without context. Let’s look a bit closer at click through rate (CTR), impressions, and backlinks. CTR is heralded as the most important marketing metric, but what does it mean to the bottom line? Clicks mean that someone showed interest to get from outside your website to your website. However, if that click doesn’t convert, it’s worthless. Further, click through rate has no direct correlation to conversions. Here is an Adwords example that proves CTR is not an indicator of success. Content A has 1,000 impressions and 100 clicks, yielding a 10 percent CTR. From that 100 clicks, there were 60 conversions. Content B has 100 impressions and 75 clicks, generating a 75 percent CTR. The final conversions of those 75 was only five. Content B has the higher CTR, but Content A has the many more conversions. So, CTR means zilch without context. Moz, the keyword wizards, pulled together some content to support this opinion. 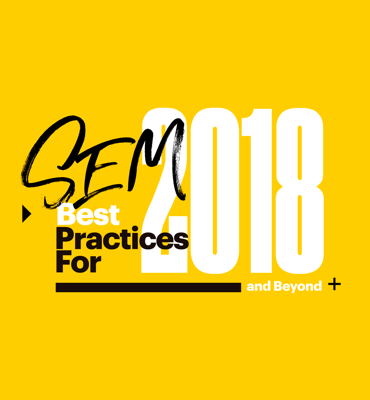 Their research found that many other elements actually augment a conversion with clicks not being the definitive signal of a conversion. What matters? Above all, relevance to the user. 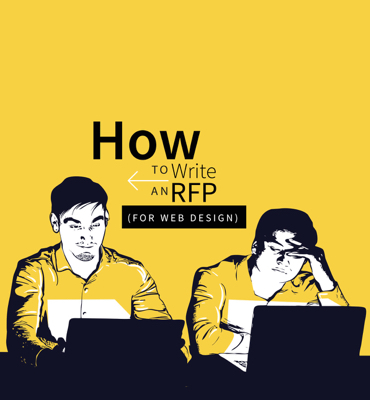 The highest CTRs don’t matter if the user has no use for what you offer. Look at your numbers further, considering cost per click (CPC). Which content has the lowest CPC in comparison to average revenue per conversion? If it is five times lower or more, it’s a winner. From the AdWords example above, you can see that the impressions of 1,000 and 100 had little to do with the final conversion. Backlinks help with ranking metrics and being considered a credible source. But it isn’t something you should focus a lot of time on, and if you do backlink, it needs to be legit. Spammy backlinking is sketchy at best. Shoot for quality of backlinks not quantity. Being a backlink to a highly credible source is better than having hundreds on shady sites. Diversity in link quality is good as well. With many different sites linking back to yours, this increases quality based on relevance. A Moz survey concluded 37 percent of business owners spend between $10,000 and $50,000 per month on external link building. This is significant spending, and those dollars could be spent on more important things. The goal isn’t to just build links; it’s to understand how or why you are getting these links. 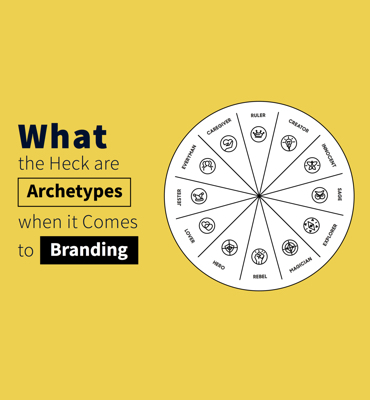 This can tell you more about what types of content resonate. 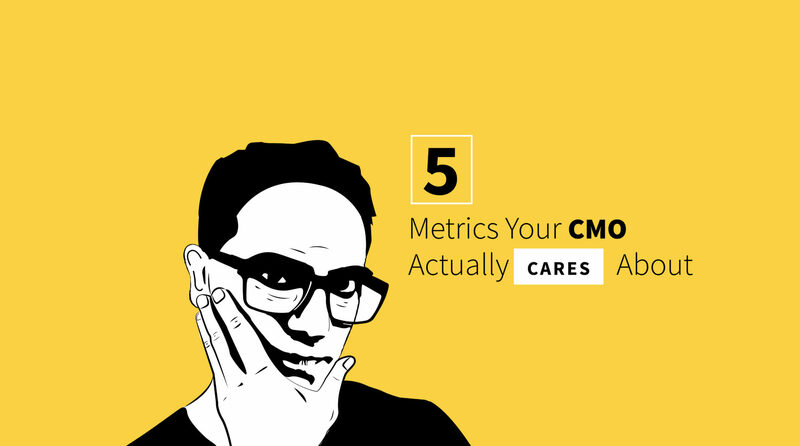 Now that we’ve uncovered the illusions around metrics, it’s time to focus on what matters to your CMO. Your CMO has an overall objective to drive quality leads. More and more, this is happening through content. You’ll find the most important marketing metrics to your CMO are ones that pinpoint what content or tactics are generating the most conversions. The following are metrics to get in front of your CMO that answer this question. The most important marketing metrics have more to do with content rather than channel. By looking at the value of the content over the channel, you can gain better insight into what resonates with your audience. Your CMO has probably already seen the writing on the wall, realizing that content marketing has a great role in future conversion rates. Traditionally, most marketing metrics have been channel focused. Marketing efforts were measured based on where the content was, including digital advertising, email, and social media. But the channel means little when compared to the quality of the content. Bad content won’t perform in any channel. Great content will generate interest and conversions no matter the channel. That’s something your CMO absolutely cares about. The most important marketing metrics reveal the “buzz” of content and assess the content’s ability to cause action. This matters to your CMO because he or she needs to understand what your audience is responding to and how that shapes the buyer’s journey. These marketing metrics that matter here are the visit rate, lead rate and customer rate. To get a holistic gauge of your content, you can group content in three ways: topic, audience, or buyer stage (awareness, consideration, and decision). For example, a manufacturer may create content around three products: windows, exterior doors, and interior doors. Regarding audience, a brand may have both end consumer and business-to-business audiences. Finally, any great content plan delivers content targeting each buyer stage. You can apply all three of these metrics across your groups. In measuring content for visit rate, you are seeking to understand which types of content generate the most visitors to your site. You will need to use Google Analytics to determine this rate. First, calculate traffic of each page in a single bucket (by topic, audience, or buyer stage) in the last six months. Find the summation of the total number of visits generated by each page in a bucket. This number is your visit volume. Repeat for all pages in each bucket. These numbers should all derive for the same time frame if possible. This will directly tie topics or formats to actions, which your CMO needs to know. This can help him or her align strategy better with content. With the visit rate, you know what content topics, audience, and buyer stage have the most visitors. Then look at these buckets, and answer the next question. What content generates the most leads? To measure this, you need to define what a lead is. A lead could be any action that a user gives that he or she wants to engage with your brand. For instance, this could be someone who completes a lead generation form or someone who signs up for a webinar. Lead rate and volume calculations involve using your customer relationship management (CRM) platform. If possible, build a report in your CRM that calculates the total number of leads per page. Find the total leads generated for each bucket. Then divide that number by the total number of visits for that page within a defined time frame. Here’s an example. A manufacturer has 25 pieces of content focused on the topic of interior doors. For those 25 pages of content, 425 leads were generated. The total number of visits for this topic were 7,000. Thus, the lead-rate would be 16.5 percent. Once you boil it down to the leads captured by types of content, share with your CMO and recommend doing more around that topic. You now have metrics associated with volume and leads. The next metric that matters is conversion of those leads to customers. Your CMO loves results so this lead to customer calculation may be the most important. The question to answer is what content buckets generate the most customers. This is an especially important metric when looking at content by buyer stage. You may find you receive conversions on content that isn’t decision stage! To find this metric, go back to your CRM data. Take each bucket number, and divide the number of customers each page in that bucket generated by the number of leads for the same time frame. For example, looking at audience, your content bucket would be content for a business-to-business audience. That content resulted in 90 new customers. The total leads from those pages was 900. Thus, the customer rate is 10 percent. Comparing this number to other audience segments like end consumer can provide you additional insights on what resonates. Your end consumer rate may only be six percent. Maybe, you can repurpose your business-to-business content for the end consumer and see if that impacts the customer rate. So, now you have your baseline for what types of content generate the most views, leads, and customers. This will allow you to scale metrics quickly, which is going to be a question from your CMO. Keep this in mind when determining how to scale effectively. It’s important to consider that each content bucket will likely have a maximum when it comes to organic traffic. Additional content will also probably have diminishing returns. It’s possible to estimate when you are hitting your maximum per bucket. To estimate when you hit that maximum do this. Combine the sum of monthly searches in Google for all the related keywords per content topic, audience, and buying stage. When the organic traffic you’re receiving to each of the pages in this bucket per month reaches this number, you are close to achieving the maximum organic results for that content topic. The caveat is that your visitor to lead conversion rates are as good as possible. Visits to your site are great, but they don’t actually mean anything unless the user converts to customer. CTRs on your social media ads or visits to your blog must have context to be meaningful. They mean nothing unless the user converts by buying a product or service or signs up for something like a demo of software. You could have thousands of clicks, but find that only four of those resulted in a true conversion. Likewise, you may have a great content piece with lots of page views as well as an over two minute time on page, but had no goal completions to show for it. You’ll need to present your findings to your CMO across the entire campaign, finding critical data points that help you deliver content that resonates and converts. Bottom line, your CMO will want to know what content has the best response. Instead of measuring A/B tests, you should be looking at the Funnel Report Data. Most A/B tests don’t reveal any nuggets of wisdom. Your CMO may be big on A/B testing. There’s nothing wrong with it, it’s just the scenario has too much bias. One by experiment by Conversion XL found that unless you have more than 1,000 conversions, A/B testing is useless. The Funnel Report Data can help you spot weak conversion areas. A funnel report helps you see the flow of users on your website. This allows you to ascertain insights about what actions performed, who did and did not convert as intended. You would be able to see their funnel journey. For instance, a user came to your site from a social media post, and read a blog. Then from that blog, the user signed up for your newsletter then watched a demo of your software. This data allows you to determine any conversion bottlenecks preventing people from taking a specific action. You can also segment your audiences into cohorts to further analyze your funnel health. These metrics will provide much more relevant information around conversions than an A/B test would ever reveal. Yes, something as simple as ROI is often left out of metrics. And it’s something ever CMO wants to know at the end of the day. Can he or she make the case that marketing is profit generator rather than an expense? In the end, it’s all about what a lead costs and what they generated. If you spend $10 per conversion and average sales for a lead are $400, then your return is 40 percent. That’s a great number to know and lead with in determining what metrics are helping you increase the ROI. Just keep this in mind when others talk about impressions or conversation rates. Data can be misleading and manipulated to seem reflective of success. However, if the ROI is low and not growing, there’s trouble. Your CMO isn’t going to just look at the one number. He or she will want context and contributing factors. As a marketing professional, you need to feel confident in the metrics you measure for your CMO. The most important marketing metrics to your CMO are the ones that convey the actual health of your funnel. Most metrics won’t matter without context. So, dig deeper into the numbers to identify what types of content work to attract visitors, leads, and ultimately conversions. Your CMO will care more about these actionable data points as opposed to those that are overrated and overhyped. Instead focus on numbers that lead you to better optimize your content and strategies. Your CMO will then have metrics that truly reflect the marketing team’s efforts. The most important marketing metrics will allow your organization to scale across your enterprise so you can learn faster, adjust faster, and convert faster. All things, every CMO loves and appreciates!